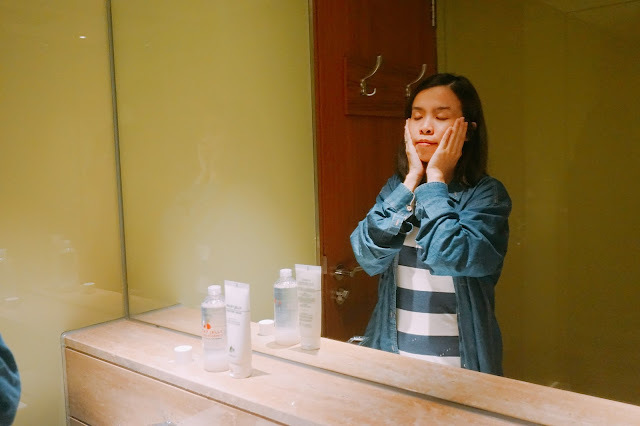 Welcome back to my second post about Half Moon Eyes products! 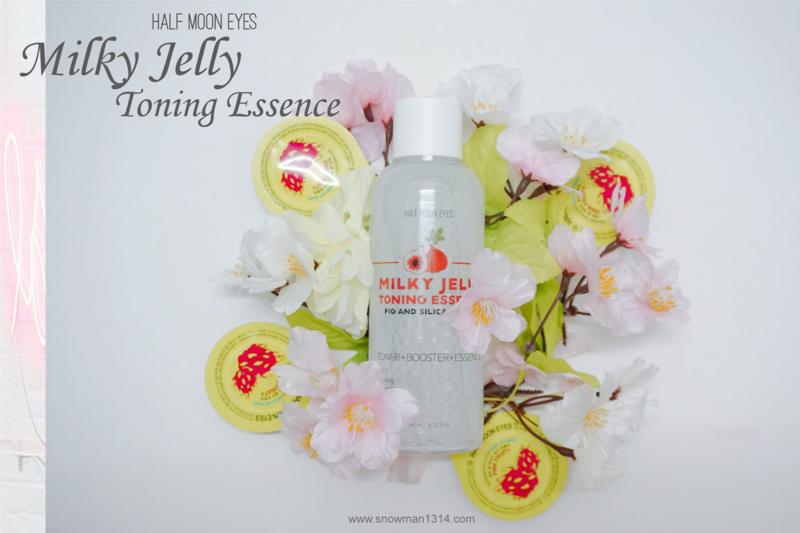 Today post is about my most favorite and highly recommended product among this series - The Milky Jelly Toning Essense. There are reasons why it is my most favorite product among this series. Read on to know why! You may also read here about my first product review on their wash-off mask too. 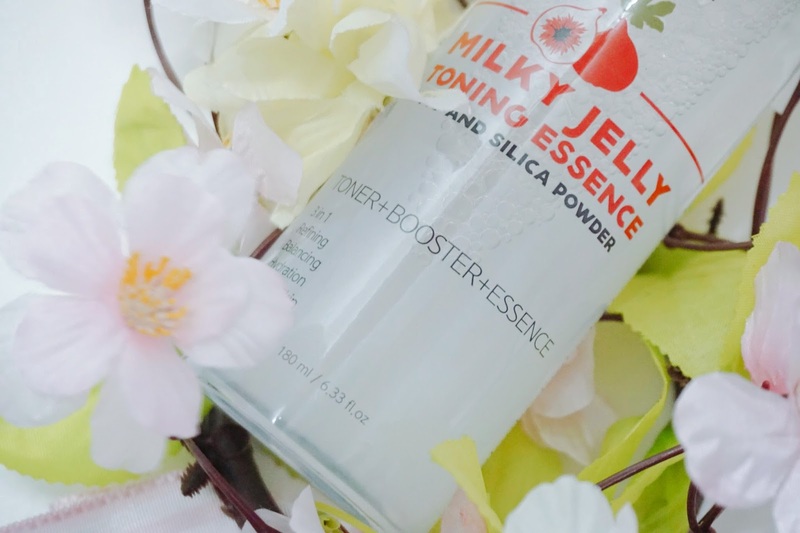 Milky Jelly Toning Essence claims to have 3 in 1 functions where it acts as Toner + Booster + Essence in just one bottle. 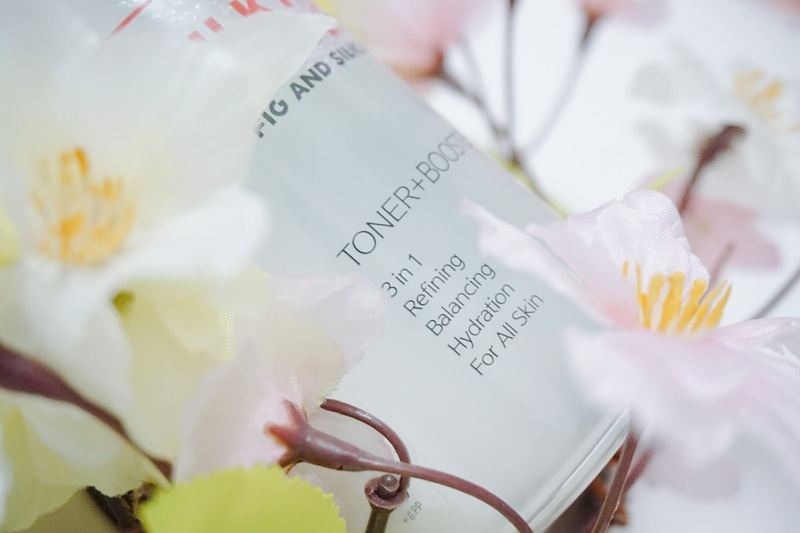 For me, I use it as a moist base toner since it contains tea tree leave water that optimized and lock skin protection in the meantime it softly tidying up your skin into regaining energy and vitality. I do have dry skin around my cheek area and oily skin around my T-zone area. 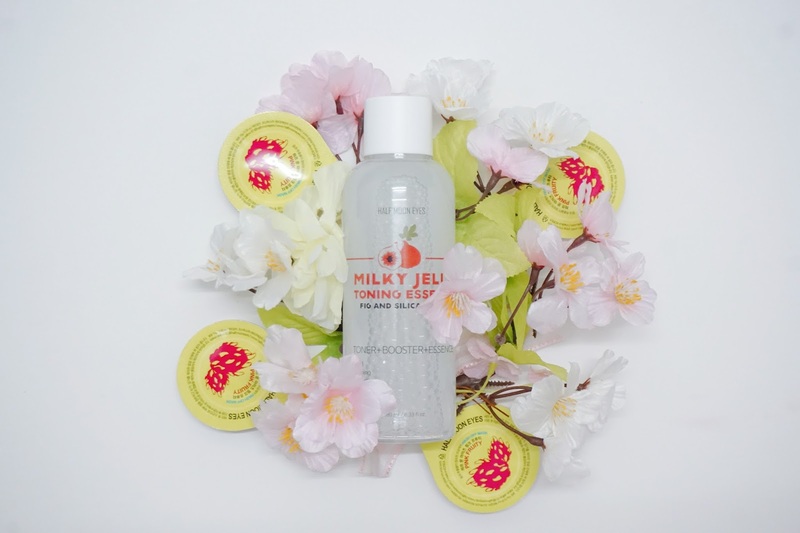 Milky Jelly Toning Essence is a multifunctional all-in-one product. It can be used easily and conveniently as a makeup base. It contains silica powder component straightens up your skin texture by eliminates pore waste and dead skin cell on our skin. Not only that, it contains fig extract that maximises the absorption of nutrients on our skin too. I love that it comes in a small and lightweight bottle. 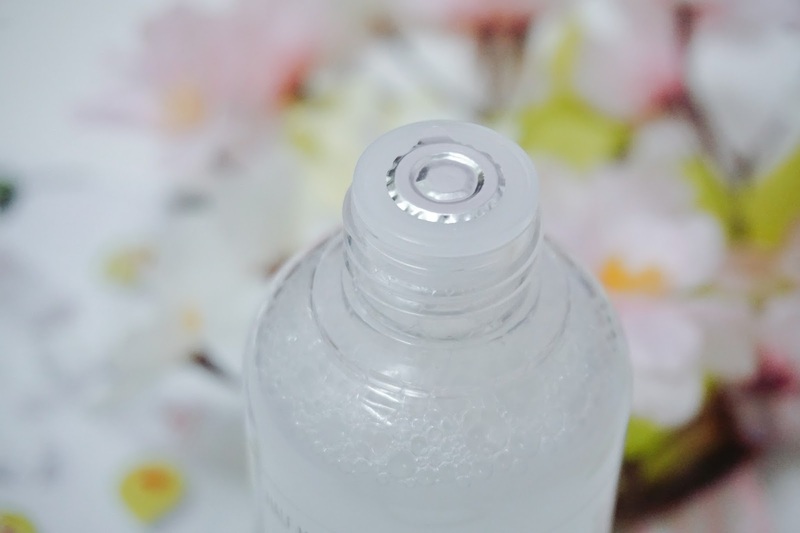 Transparent bottle packaging and there's really cute measurement print on the bottle too. It will keep you reminded how many product usages you have used! Seal packaging to secure the product nicely. The texture of the product is so light and smooth!! To those who don't really fancy on rich texture for your skin, especially if you are oily to combination skin. This product might be up to your liking! Because it absorb to skin so quickly. There's super light sweet scent when you use the product. It feels really fresh and sweet when you apply it on your face. 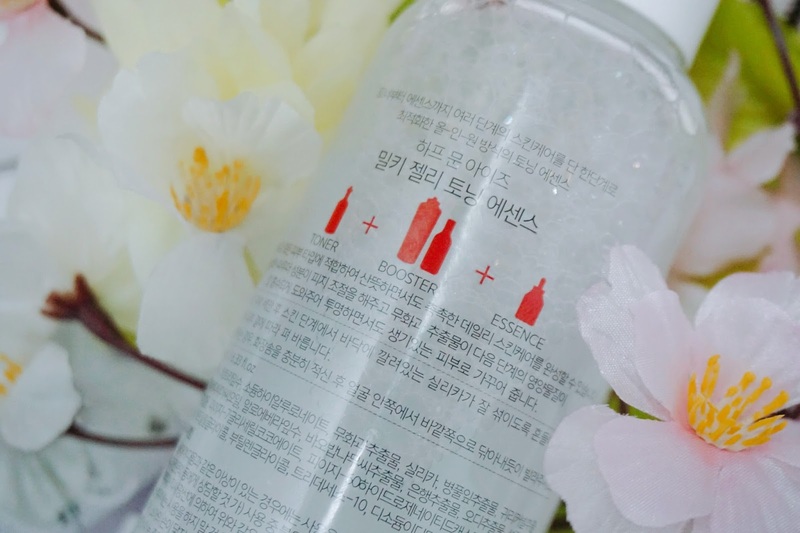 Milky Jelly Toning Essence contains silica powder which required gently shake to mix up the products before using the product. 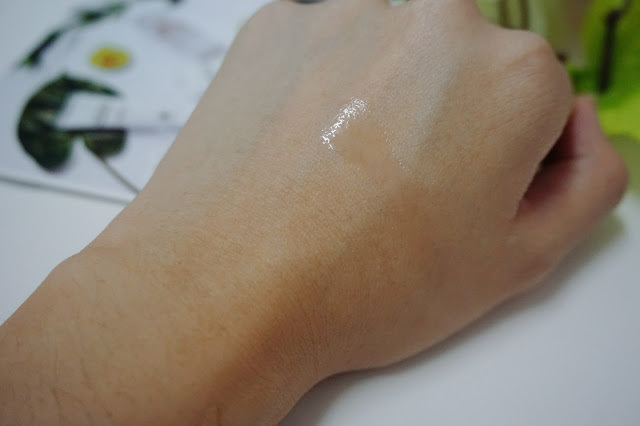 Since I will be using the product as a toner, I will pour few drops on my hand first. Next, I will gently dab it all over my face. When I was dabbing it on my face, I can start to feel the jelly and soft texture on my face. Makes me wanted to keep dabbing and use the product all over and over again. This product does come with a box of cotton pad as well. But since I will use it as a toner for my skin. I'm not sure how you guys will prefer to put on toner on face. I will just pour few drops on my hand and gently pat all over on my face. 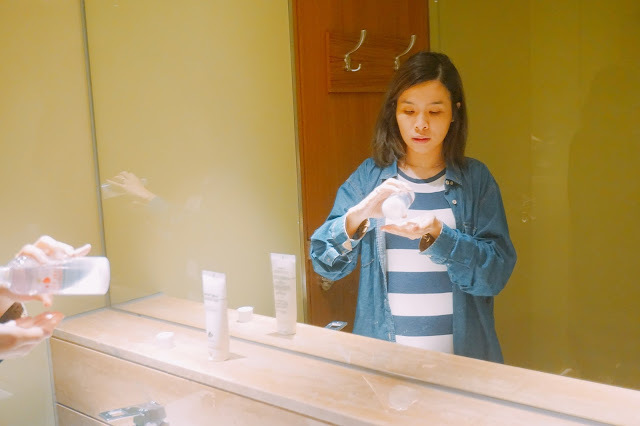 When the first time I apply, I can feel my skin is quite dry since the product absorb so quickly into my skin. But after few weeks of using this product, I can feel my skin so supple and soft like jelly whenever I apply this Milky Jelly Toning Essence!! I love that it absorbs and soak into my skin quickly but also able to gives this soft jelly skin texture for my skin. Since it contains fig which has excellent effects on anti-oxidant, it actually helps to cure pimples and inflammation area on my skin. With it silica powder, it also helps remove extra sebum around my nose area too. For people which is dry skin, you may find this product too dry and fast absorption to your face. 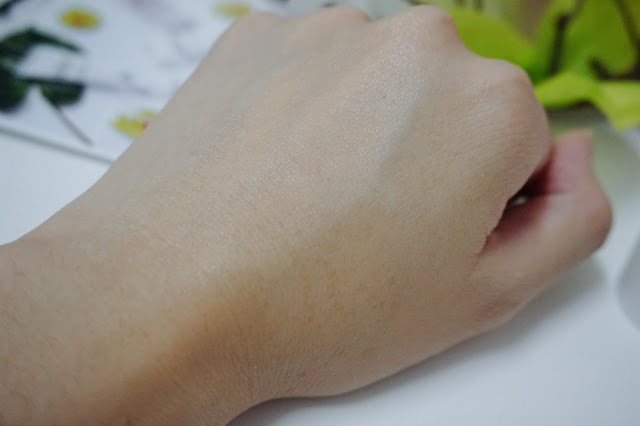 In this case, you may apply hydration essence after applying Milky Jelly Toning Essence around your dry skin area. Yes, I will! 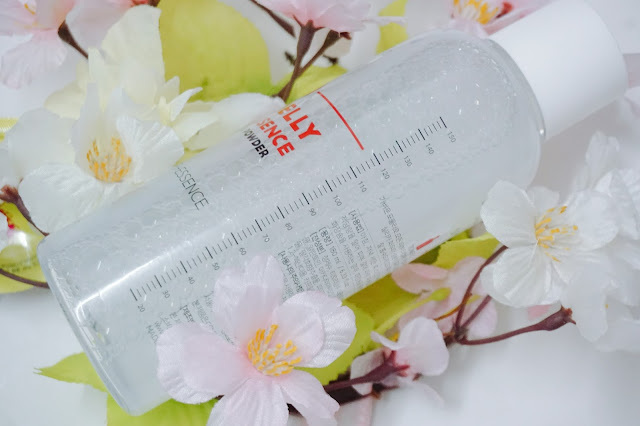 Although the price of Milky Jelly Toning Essence is more than RM50, despite for its multi-functional products I would say it was really worth every penny. With the product soak into the cotton pad, it is good to remove dead skin cells on your skin. You can also use this essence as water mist and also facial mask too! I heard about this a lot. I would love to try this out. Loving all the pictures you took here my dear. 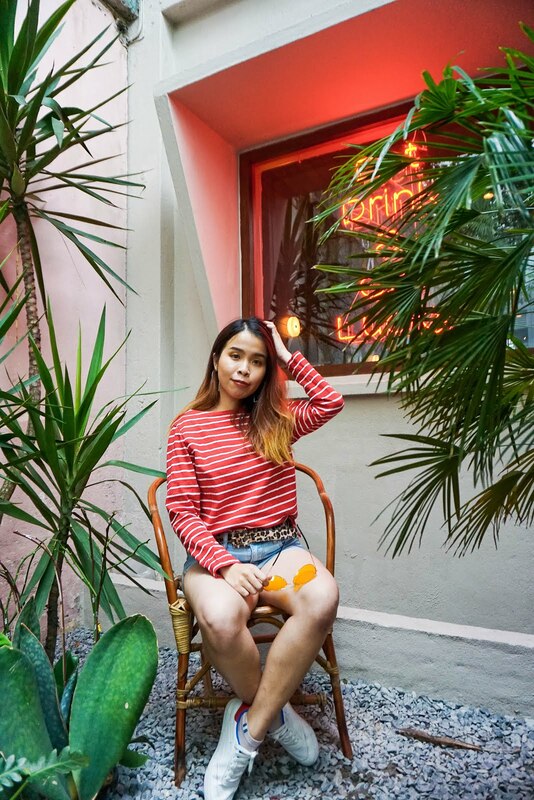 So pretty and i saw your effort made here! Clear review. Looks good on you. Perhaps gonna try the milk toner too - hahaha. Always get so easy to be influenced by you. Just try je! Really best tau! I felt so refreshing seeing you applying that way. I want that too. I have not used Half Moon Eyes before but this toner looks like really nice. I don't really know if I have oily or combination skin. That makes it so difficult to buy skincare products. 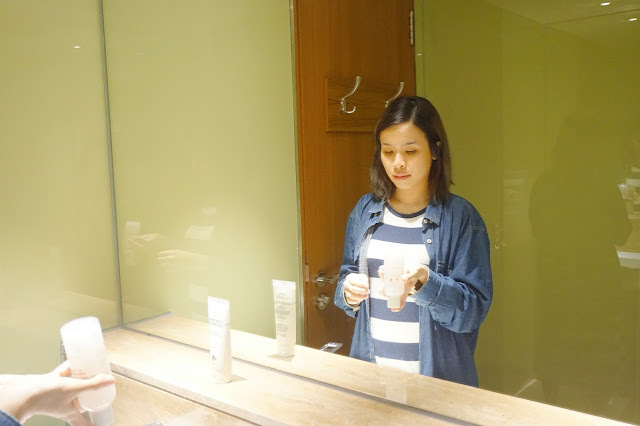 Should get consultation from beautician to know what's product suitable for your skin! Must check it out ya! I am really surprise with it's texture too! So good!